The ongoing soap opera that is the New York Knicks continues to add new storylines and drama every day, and the tension seemed to boil over after the backbreaking 108-107 loss to Atlanta at Madison Square Garden. So Phil Jackson and Carmelo Anthony held a private meeting in which Jackson asked Anthony if he wanted to remain with the team, according to ESPN. In theory, the meeting should have helped clear the air between the two, but it doesn’t seem that actually happened. The meeting stemmed from Anthony’s comments regarding a piece written by Charley Rosen, a close confidant of Jackson’s, in which he wrote that Anthony’s time with the Knicks is seemingly up. ESPN reports that the meeting was far more contentious that previous meetings between the two parties, and that no specific trade proposals were discussed. Both sides left the meeting wanting to let the tensions simmer down a little bit before making any concrete decisions about the future. However, Anthony reportedly made clear that he wanted to remain with the Knicks during the meeting. Carmelo Anthony reaffirmed his desire to stay with Knicks in meeting with Phil Jackson today, league source tells @TheVertical. 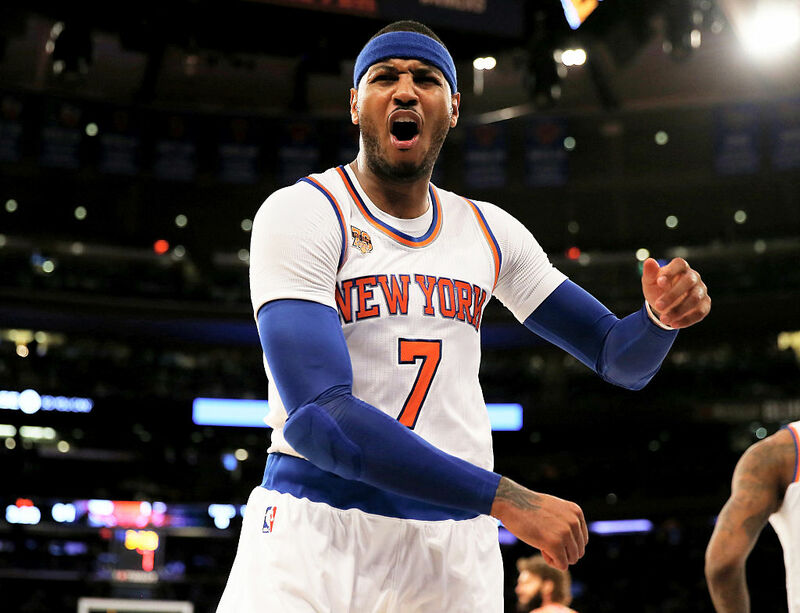 There's a reason 'Melo wanted no-trade clause in his contract: He wants to live and play in New York. He won't let Jackson chase him out.